Thanks for Asking: What’s the difference between Floratam and St. Augustine? What’s the difference between Floratam and St. Augustine? Actually, there isn’t any! 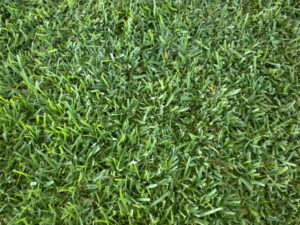 “Floratam” is a cultivar* of St. Augustinegrass developed by the University of Florida and Texas A&M University and released in 1973 (hence the name: “Flora” and “TAM” = Floratam). Floratam showed resistance to both the southern chinch bug and St. Augustine Decline (SAD) virus and has remained the most widely-used home lawn grass in Florida for forty years. University of Florida researchers note that Floratam’s chinch bug resistance has decreased over the years as the pests themselves have adapted and evolved; however, it still performs reliably in nearly all of Florida’s differing soil types and climate conditions. It is readily available and may be less expensive than some newer cultivars.